What is a good relationship to me? A wonderful therapist friend of mine encouraged me to ask myself that question. When she first proposed it to me it felt overwhelming to answer. It also felt a little scary to me. I think that it is a huge question and one we don’t ever seem to ask ourselves. What does a good relationship look like in my opinion? Then a miracle happened… I asked the person I love to do the same and we had a really great time sharing each other’s thoughts and ideas. It helped us both to identify what we want and to see each other more clearly. I encourage you to spend some time this week asking yourself the question “What Is A Good Relationship To Me?” and writing down whatever comes out. It is truly a beneficial and worthwhile exercise and one that is sure to give you some clarity on how to CREATE GREAT LOVE in your own life. 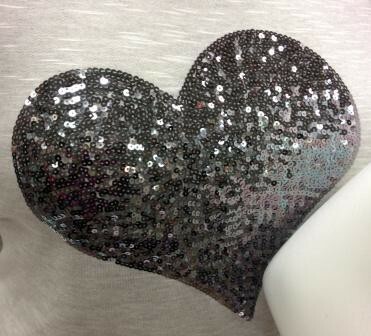 My picture this week came to me as I was shopping around town… it makes me smile cause I LOVE things that sparkle! This entry was tagged American Author, Clarity, Create Great Love, Erica Jong, Good Relationship, Hearts, Journal, Love, Miracle, relationship, Relationships, Romance, Shopping, Sparkle, Teacher, Therapist, Writing. Bookmark the permalink.